In the Restaurant Industry, What is an Expeditor? Home>In the Restaurant Industry, What is an Expeditor? A restaurant expeditor is responsible for helping to maintain the efficiency of a restaurant kitchen by delivering dishes to the table. 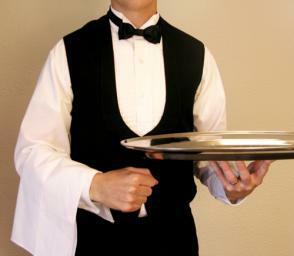 Although an expediter does not take orders from customer, he or she delivers items to the customer’s table when they are ready. This assists waiters and waitresses, and it also keeps up a constant flow of items from the kitchen to the table to the dishwasher. Usually, expeditors will be employed at larger rather than at smaller restaurants. 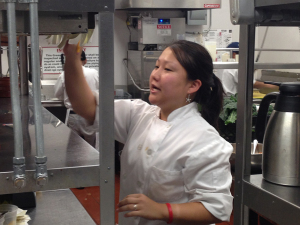 Servers will typically be responsible for the task of expediting food themselves at smaller restaurants. A food expeditor is responsible for delivering food to the customers’ tables, but this is not the only job duty for which an expeditor is responsible. An expeditor must also ensure that kitchen orders have been properly prepared before delivering them to the table. An expeditor may have to add certain garnishes or condiments to a dish before it is ready to be delivered. He or she might also need to direct kitchen staff on what orders to produce, or communicate with waitstaff and other expeditors as to where dishes need to be delivered. Often a great deal of stress is involved with the job of being an expeditor at a restaurant. When a restaurant is busy, expeditors are responsible for keeping things flowing and getting orders placed and delivered out to the tables as quickly as possible. Expeditors need to be constantly aware of factors such as food safety and the temperature of the food that is ready to go out to the customers. An expeditor’s shift may be long, and by the end of a work day expeditors have generally been engaged in constant activity throughout the day. This means that physical stamina is important for those who wish to have success as expeditors. Expeditors need to stay organized throughout the day to avoid becoming overwhelmed during busy times. They must also be able to communicate well with other members of restaurant staff. They need to be coordinated and able to keep track of several different tasks at once. It’s important that an expeditor is not afraid to speak up loudly to let coworkers know what needs to be done. Furthermore, expeditors must be oriented to providing exceptional customer service. They must often handle customer complaints and answer customer questions regarding menu items and more. Sometimes, expeditors need to have food handling certification or qualifications from a health department. An expeditor may need to have a high school diploma. Those who are aspiring to work as expeditors at fine dining establishments may need to achieve an even higher level of education, such as a hospitality degree. Upscale restaurants may require that expeditors have culinary training or- at least- that they have previous restaurant experience. However, experience in another restaurant position- such as working as a line cook or dishwasher- may be enough to qualify for an expeditor position. Those who like the idea of working in a fast-paced restaurant environment should have no trouble finding opportunities to work in restaurant expeditor positions.